Most type practitioners use psychological insights to improve organisational challenges such as communication, decision-making, conflict and leadership. But Jung’s theory of personality, and its subsequent development by Briggs and Myers, provides a treasure chest of ideas to support a life-long developmental process. 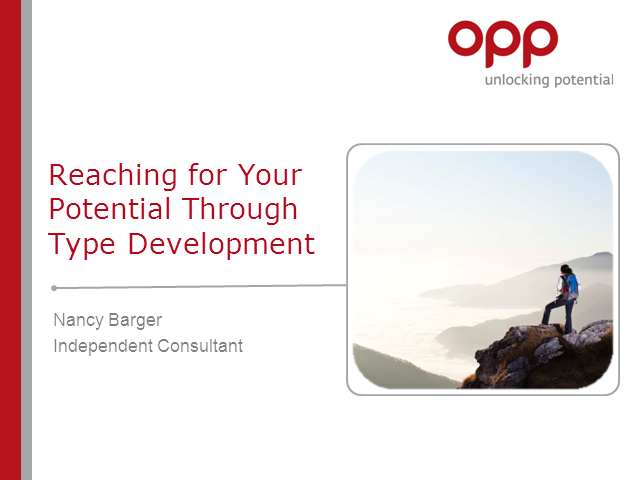 Join independent consultant Nancy Barger to discover how MBTI® basics can be applied to each of the three stages of life Jung described, and provide a platform for more impactful coaching and development.